So as soon as you start making exceptions, you have to wonder if that’s your disease. If you look at what your issues are with AA, you can usually find meetings that are more in line with your belief system. There’s nothing rigid about the 12-step process. It’s ultimately really just a way of dealing with control and learning how to tolerate intimate connection with other humans. That’s all it really is. Why would you resist that? It doesn’t even make sense. Now, okay, let’s say you still have a problem with it. Go to Rational Recovery, go to SMART Recovery, but why not go to AA in the meantime while you look for some other meeting? Certainly you can go to individual therapy but the research shows very clearly that long-term recovery is better when there’s 12-step involved. That’s just the data—that’s the research. If you’re serious about your recovery, why wouldn’t you find reasons to belong, rather than reasons to exclude yourself? The Ask Dr. Drew series will be running for five consecutive weeks. All questions have been submitted by members of the SR forums, and selected based on diversity and relevancy. 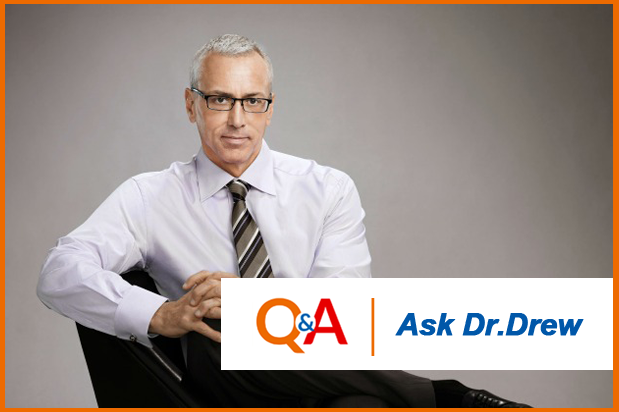 To read Dr. Drew's response to our next question, please click here.